Gal Gadot, who is most widely renowned as The Wonder Woman of Hollywood, is not single. 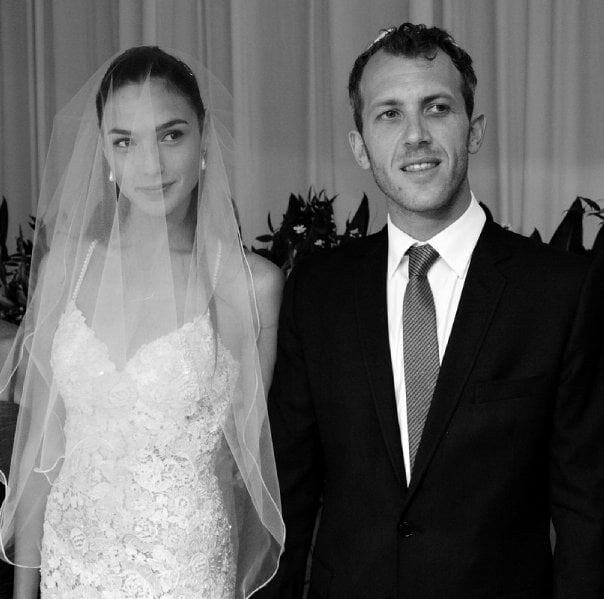 Yes, you read it right, the sizzling beauty is married to Israeli businessman Yaron Versano. The pair has been tied in a marital relationship, not for a year or two, but they have been married for 8 years. Despite the years, the love between wife Gal Gadot and husband Yaron Versano is still immense as there’s no hint of divorce between the pair. Despite tying the knot in 28th September 2008, Versano and Gal Gadot have been together with each other for more than 10 years. They dated for 2 years and later transformed their love affair into marriage. Who is Gal Gadot husband Yaron Versano? Gadot’ husband Yaron Versona is a very successful businessman and a real estate developer. He was the owner of Israel’s luxury hotel The Varsano Hotel located in Neve Tzedek in Tel Aviv, but he sold it for $ 26 million in 2015. In 2012, Gadot got the privilege to become a mother for the first time as she gave birth to Versano’s daughter Elma. Versano’s Instagram is filled with adorable pictures of his daughter and his beautiful wife. Just when we thought that the Versano family cannot be happier, Gadot announced her second pregnancy in November 2016 through her Instagram. On her pregnancy announcement post, she was seen posing with Versano by making a heart on her belly using their hands. Her caption read: "So excited to share this wonder with you... #mommyforthesecondtime"
Versano and Gadot are a very supportive as well as an understanding couple as she revealed in an interview that they make a great team as they assist each other progress in all areas of their life because they both are career driven. During a talk with Vanity Fair as well, Gadot told that her husband is amazing, supportive and woman-friendly. “Gal, think about what kind of a role model you want to be. If you want to show Alma that she can follow her dreams, that’s what you should do, and we will figure out the logistics." Gal Gadot and Yaron Versano’s relationship is in great terms even at present. We convey our best wishes to the couple for their married and their upcoming baby. Let’s hope to hear the big news soon.